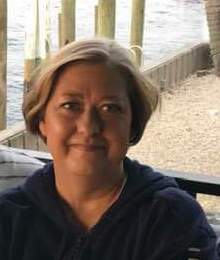 Toni M. Kellam, age 52, of Marion passed away peacefully with her family by her side on March 27, 2019. Toni was born February 3, 1967 in Marion, Indiana the daughter of the late Ruby (Cheek) Kellam. Toni was employed at the Dollar General Distribution Center as a shipping clerk for 12 years. She enjoyed spending time with her grandchildren, being at the beach with her sisters in Florida and cooking meals for her family. Toni always found a reason to laugh and loved being surrounded by her family. Toni considered the people she worked with to be her work family. Toni is survived by her daughter Tara (James) DeMarcus of Marion; three sisters; Connie (Brent) Gorrell, Florida, Cindy (Jim) Bean, Logansport, Indiana and Kathy (Joe) Vandermark of Indianapolis, Indiana; four grandchildren Samara, Mason, Kendrea and Brantley. In addition to her family she is also survived by her other three babies two dogs Maggie and Baby Boy and one cat Mr. Kitty. A Celebration of Life will be held at 3:00 p.m. on Saturday March 30, 2019 at the Hanfield United Methodist Church, 101 North 400 E Marion, Indiana with Pastor Tim Helm officiating. Friends and family may call from 2:00 to 3:00 p.m. at the church.